Buffalo has become known during the last generation for its chicken wings, pizza and residents who hunker down during cold weather seasons to watch their mostly lackluster hockey and football teams. That culture also gets reflected annually in County Health Rankings that measure communities across the country. Half of the eight counties in the region – including Erie and Niagara – finished in the bottom eight of 62 counties nationwide when the latest rankings were released on Tuesday. It was small consolation in the public health sphere that Erie County improved from No. 57 to 56. "I'm hoping some day ... that many of our elected leaders will know how important health and wellness is to our community,” County Clerk Michael P. Kearns said during a gathering at WNED-TV Studios to reflect on the latest bad rankings year. “Fifty-six is not good enough," he said. "It's failing. It's a D. If your kids came home with a 56, what would you say to them? 'That's great?' I'm sorry … we don't play every year to lose." People across the region tend to live at least 2½ years less than the typical New Yorker, the Robert Wood Johnson Foundation and University of Wisconsin Population Health Institute reported in its latest rankings. Researchers base their rankings on mental distress, diabetes, tobacco use, obesity, excessive drinking, exercise, nutrition and other measures – including longevity. Income inequality, children in poverty and educational status are also weighed. All eight Western New York counties fall below the average statewide length of life, age 81.2. Three regional counties fell below Erie in the overall rankings. Niagara, Chautauqua and Cattaraugus counties placed 58, 59 and 60, respectively. Wyoming, at No. 24, was highest in the region. The adult smoking rate in Erie County is 18 percent, four percentage points higher than the state average. The 30 percent adult obesity rate is four percentage points higher than statewide. Both rates are better than all other counties in the region. Chautauqua and Cattaraugus have the highest smoking rates – at 24 and 23 percent, respectively – while Orleans and Cattaraugus have the highest obesity rates, at 36 and 37 percent. The entire rankings – and ideas about how counties and communities can improve them – can be found at countyhealthrankings.org. “If you dig deep in terms of what they're measuring, it's really about chronic disease, things like obesity and diabetes and cardiovascular disease,” said John Craik, executive director of Population Health Collaborative, a nonprofit regional agency designed to connect diverse groups who strive to improve public health. “These are the types of diseases that are not going to change overnight – and certainly (not) over the course of a year," Craik said at the Tuesday morning press conference. "We think the trends are going to move more rapidly in better directions over the years to come," he added. "It takes a long, long time to get there." The collaborative plans to release a report later this year that shows the "extremely high" economic development burden of chronic disease in the region. "One of the things we really, really need to do as a community is rally the private sector – the employers and the business leaders – around caring for population health," Craik said. He and other public health leaders ticked off a number of efforts designed to lift rankings of the regional counties. 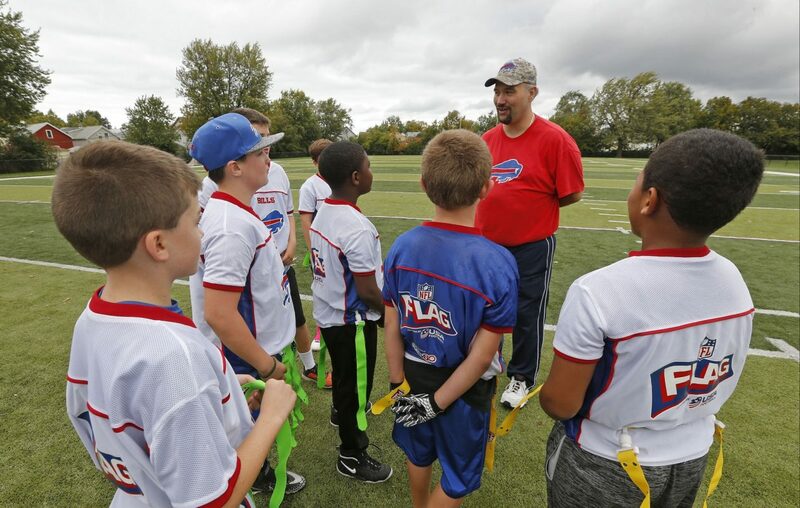 Several held out hopes for the $1.4 billion-plus effort by the Ralph C. Wilson Jr. Foundation to improve the quality of life – particularly health – in the Buffalo and Detroit communities nearest and dearest to the former Buffalo Bills owner’s heart. HOPE Buffalo, which works with teens to improve wellness, including reproductive health. The Creating Healthy Communities Initiative, designed by the Wellness Institute of Greater Buffalo to foster a regional culture more focused on healthy individual, family, workplace, civic, environmental and economic behaviors. The Healthiest Districts Initiative, launched by Kearns in 2015 in schools in the city and part of the Southtowns while he served in the State Assembly. The initiative continues. Wintermission, a two-year program designed to increase physical activity during winter months for all residents regardless of age, ability or socioeconomic or ethnocultural background. Buffalo was one of three of 62 cities who applied for a grant for this program to receive one. Age Friendly Erie County and similar programs designed to improve the lives of older residents. "If you design a community that's targeted to make it easy for senior citizens to live there,” Craik said, “it benefits everyone in a number of ways." The Population Health executive director also pointed to the need for more collaboration and strategic thinking from abundant “siloed” efforts and agencies designed to address chronic health challenges and social determinants of health that plague neighborhoods and communities. Those determinants include violence, childhood trauma, and a lack of education, employment and transportation and neighborhood access to healthy foods. "In our community, we're program-rich but system-poor," Craik said. The County Health Rankings underlined that divergence. Erie County ranks No. 10 statewide in clinical health services despite its poor health outcomes. That can change with a more comprehensive approach that involves listening to residents, said Maisha Drayton, of HOPE Buffalo. "We want youth to say, 'This is what healthy means to me,'" she said on Tuesday. Craik noted near the end of the news conference, which lasted about 40 minutes, that the word “doctor” came up only once. “Your doctor does not make you healthy or unhealthy," he said. "What you do – where you live, where you work, where you go to school – all the decisions you make 364 days a year where you're not in your doctor's office determines your health more than anything."